Why Are Some Springs Made of Plastic? Over the past few months, we have had an on-going series of articles that talk about what springs can be made of and how they are uses in everyday situations. Firstly, we discussed wooden springs, in which we talked about how they changed from the bow and arrow to leaf springs in ancient vehicles. One other type of material that is used in the manufacturing of springs is plastic. Now, you might be thinking that using plastic to make springs is very unusual – and in common springs applications it is – but there are some springs that use plastic’s unique properties to their advantage. Why Are Plastic Springs Not Used in Common Situations? The main reason for this is normally because of the physical properties of plastic. Plastic is a malleable material but its rigidity can be increased by compressing the plastic and adding more to the original piece. However, the number one reason is due to a phenomena known as plastic deformation. Plastic deformation is a deformation that is irreversible – an example of this would be if you stretched a metallic Slinky so much that it didn’t return back to its original state. This can occur in thin, ductile metals, such as copper, silver, and gold, however, it can also occur in plastics. If plastics are strained, they undergo a necking process and, which after become deformed so much that they cannot be used. They also have relatively low melting points, meaning that they could possibly melt under strenuous usage. How Are Plastic Springs Used? As you can see, because of their specific properties, plastic springs can’t be used in situations such as in vehicle engines and other similar applications. So how can they be utilised? One application is in children’s toys, as they don’t have to endure much stress. As such, the most common form of plastic spring that is used is the Slinky. 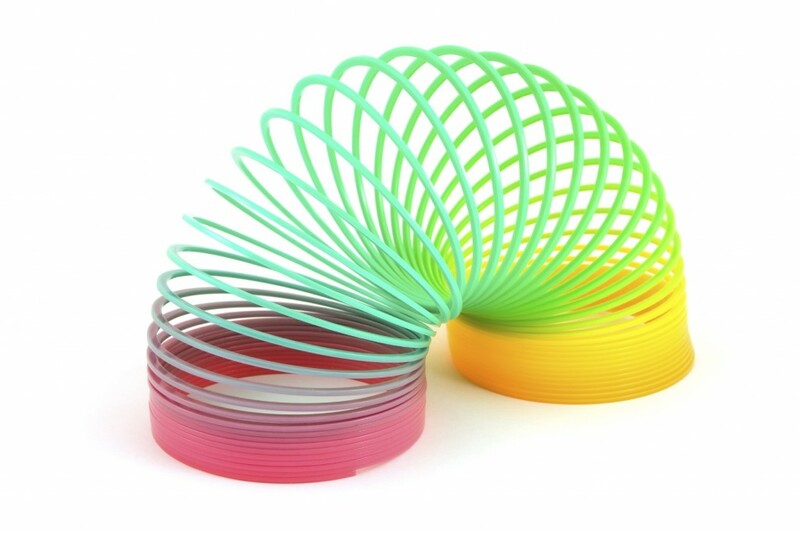 It may seem like an easy thing to achieve, but due to the complex nature of the spring and by understanding how the various properties of plastic changes under certain conditions, it is quite difficult to make a plastic Slinky. Other applications include ones that include magnets. Metallic springs are magnetic, meaning that they can interfere with external magnets or certain types of imaging, such as MRI scanning. One great feature of plastic is that it is a non-magnetic material. This means that plastic springs are commonly used in the health sector, such as in scanners and other medical devices. One problem, however, with plastic springs is that most of them are moulded, where the moulds are very expensive to produce. As such, large quantities of these moulded springs have to be made to overcome the cost. 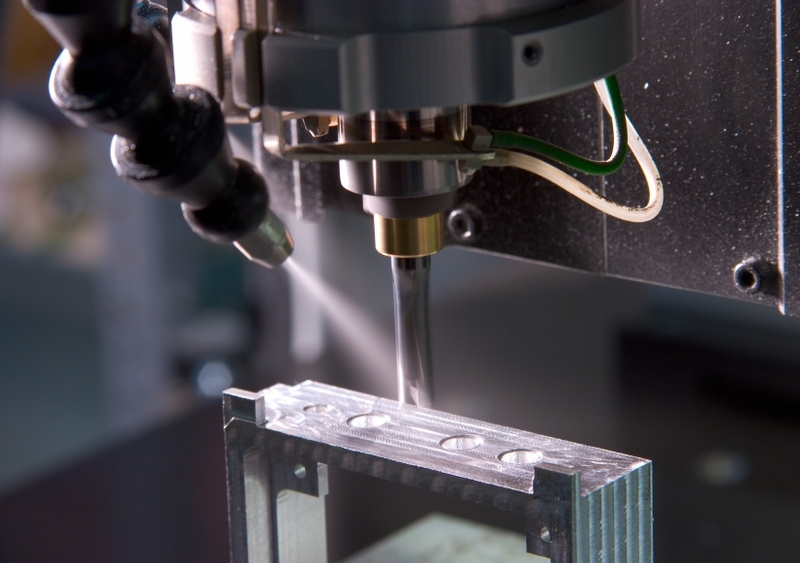 On the other hand, wire springs do not require these expensive moulds or other necessarily costly machines, meaning that lower volume and cost are the significant consideration when deciding whether or not to manufacture plastic springs. We are so dependent of the spring that we use on a daily basis. As spring manufacturers, we always ensure that all of our spring designs and products are of the highest quality and follow the strictest standards in the industry. If you want to know more about our products, then please contact us today on 01535 643456 and we will be more than happy to help.